Overview of PACKCON 2018: Two Organizers joined hands in resources integration. Hundreds of packaging containers, materials and service designs suppliers from paper, plastic, metal and glass containers took part in dozens of professional forums and conferences. So did over 5,904 packaging R&D and purchasing decision makers from end-user industry. PACKCON 2019 is a specialized platform for displaying various packaging containers. It is jointly organized by the China Packaging Federation (CPF) and Reed Exhibitions. The exhibition focuses on paper, plastic, metal, glass and other packaging materials and containers. It will also highlight innovative packaging designs, packaging development trends and complete packaging solutions etc. Over 10,000 packaging R&D and purchasing decision makers from end-user industries which include food, beverages, daily chemicals, daily necessities, digital Appliances, present and pharmaceutical industry will be invited to PACKCON 2019 to explore trade and cooperation opportunities. 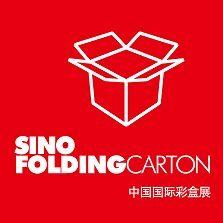 During PACKCON 2019 “Sino Corrugated 2019”and “Sino Folding Carton 2019” also take place. With all these exhibitions you definitely achieve chances for expanding connections with high-quality R&D, reaching business cooperation and promoting company images and brand. PACKCON devotes himself to promoting prosperity in packaging industry. PACKCON 2019 will be held at the GD Modern International Exhibition Center from April 8th to 10th 2019. Organizers will endeavor for the best exhibition with a great number of packaging industry resources.